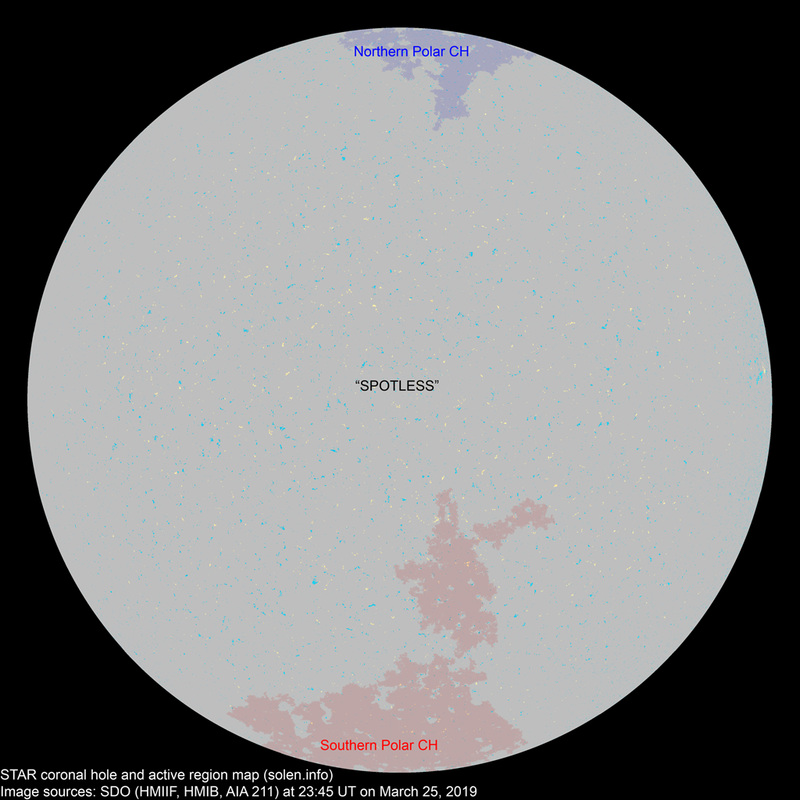 Last major update issued on March 27, 2019 at 04:10 UT. 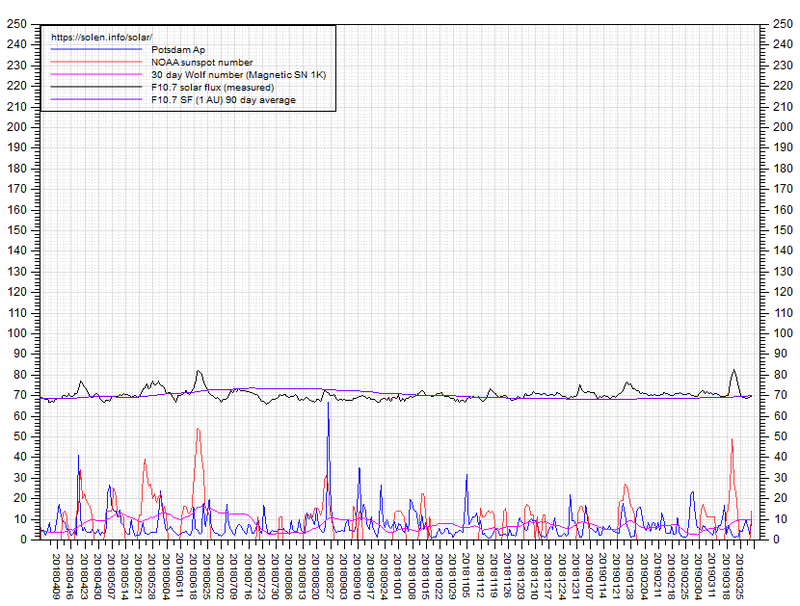 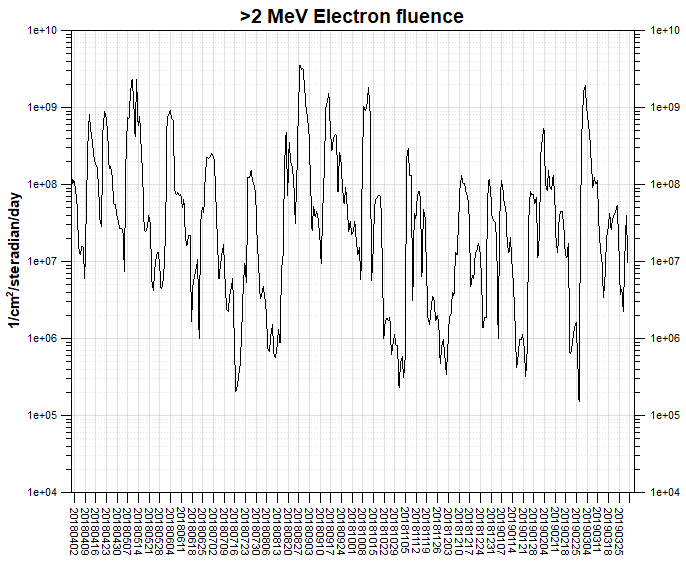 The geomagnetic field was quiet on March 26 under the influence of very weak CME effects. 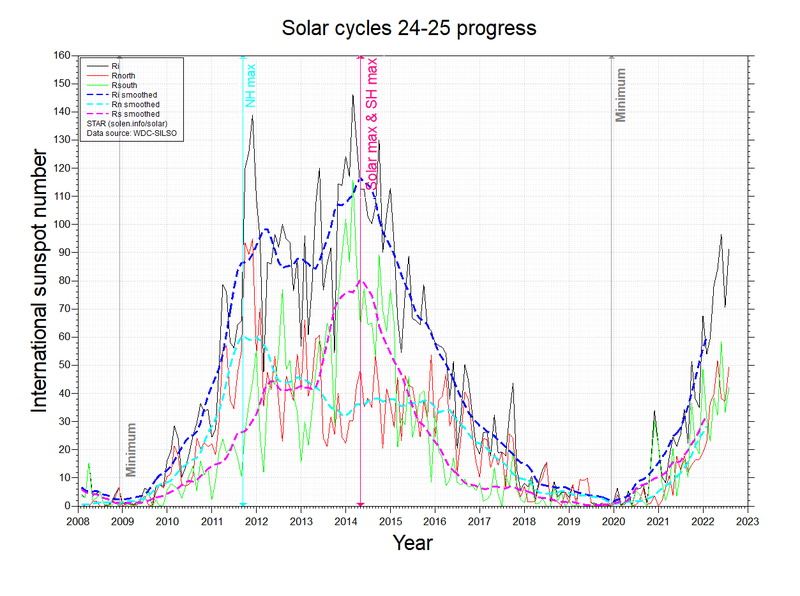 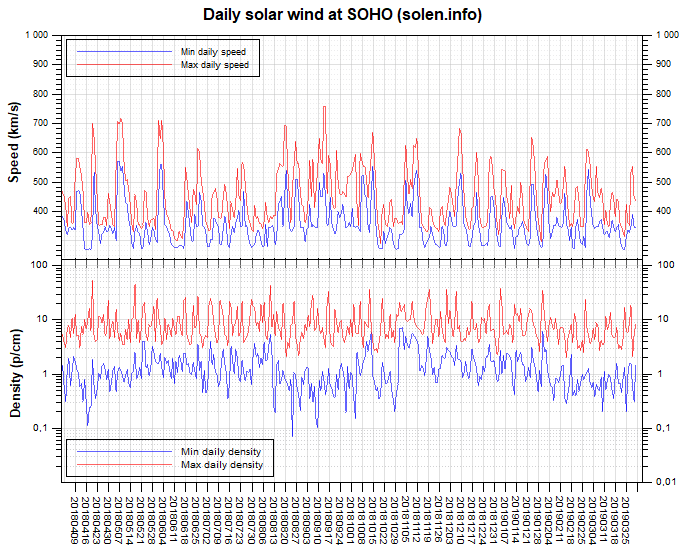 Solar wind speed at SOHO ranged between 335 and 361 km/sec. A poorly defined trans equatorial coronal hole (CH912) was in an Earth facing position on March 24-25. 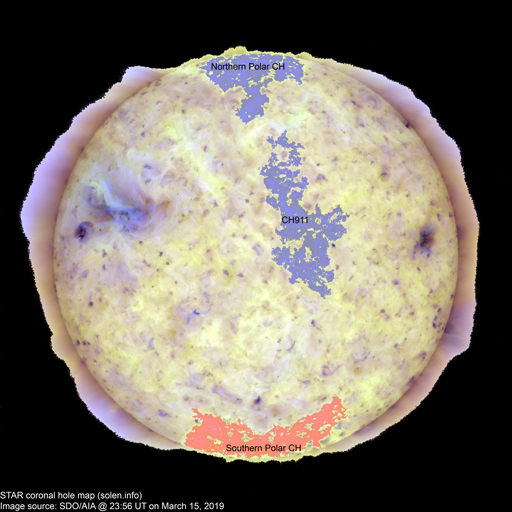 The geomagnetic field is expected to be quiet on March 27 and quiet to unsettled on March 28-29 due to weak coronal hole effects.